The japanse anime frog heads out on an adventure. Navigate around the bugs and animals and onto the lily pads to reach the five flowers pots. Avoid touching the creatures or fall into the water! The Game of frogger redone without the traffic. If you want to play Keroppis Adventure games online you have come to the right place! GamesLoon adds new Keroppis Adventure games every week. This is your game portal where you can find the biggest collection of free Keroppis Adventure games online. 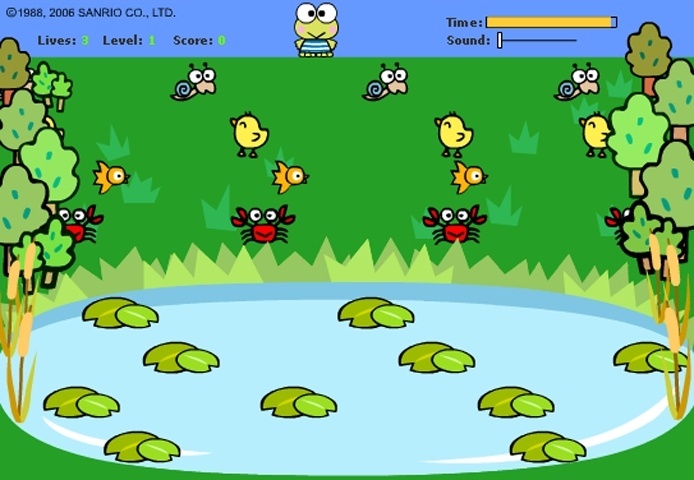 Do not forget to rate our Keroppis Adventure free online games while playing!